While Belsize Park and Hampstead are relative wastelands for independent cafes – possibly due to the high cost of the rent and the fact that the wealthy locals have big homes and gardens that they are reluctant to leave – if you walk five minutes south you come across England’s Lane. At first it looks like a regular street but if you venture along the lane, you are greeted by a number of cafes, delis and the like. 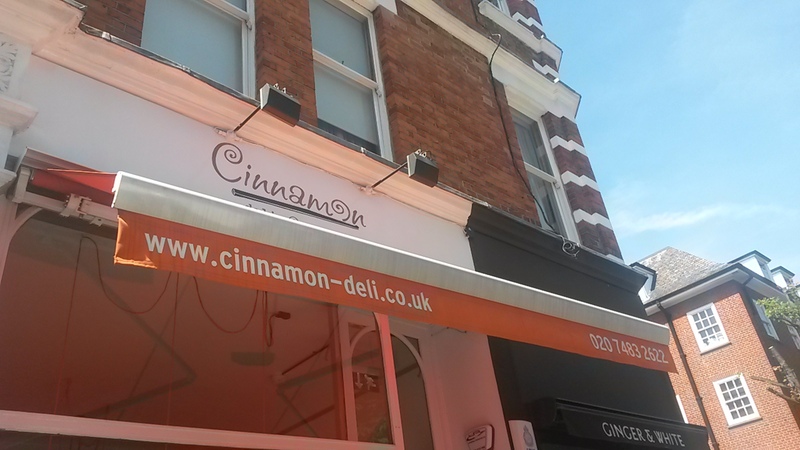 Among these is Cinnamon, a Persian café and deli run by mother and daughter Mojgan and Nooshin. Again, we’re given an excellent cup of Monmouth coffee. It was a good size, hot and full of deep caramel and cinder toffee flavours. 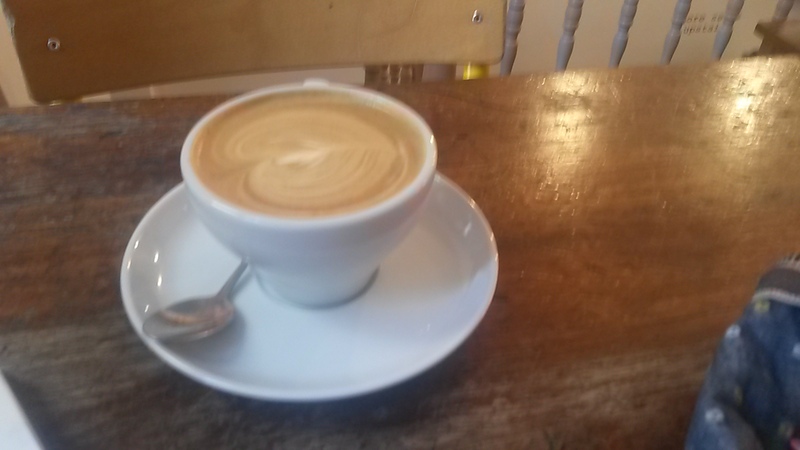 At £2.50, it shows that just because you use a high end roaster and are in a nice area, great coffee doesn’t have to be expensive. Bright and colourful, this small café has three main areas. The pavement area is a great spot to sit and enjoy the surrounding of England’s Lane, with a number of cafes seemingly blending into one large al fresco area. Inside is the counter and a few high seats. Behind this is the upstairs area, itself split into two areas with a mezzanine looking over the café and a backroom. It’s comfy, lively and fun. Serving Mediterranean food including its signature dish of lamb stuffed aubergine with yoghurt and pomegranates, this offers something a bit different to the usual café. 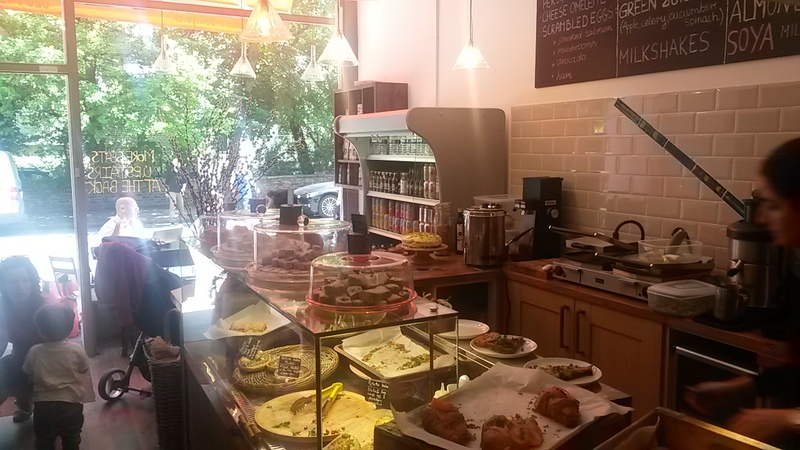 It also has soups, salads, quiches and baked goods. Good family service. Always a smile and a bit of heart in it. Free water and some photos for sale were pretty much all this offered. The deli food looked good but nothing out of the ordinary. A delightful place offering not only great coffee and interesting food but a proper family feel.